Building the profile of Guiding in your community may feature in one way or another in your plans for your District or Region. Public relations is simply building awareness of the benefits of Guiding with all the players in your community: media, government, schools, community groups and parents. As a Manager you need to be able to talk confidently to parents and guardians, teachers and other members of the community about what Guiding promotes. There are five messages which together summarise what Guiding is all about. 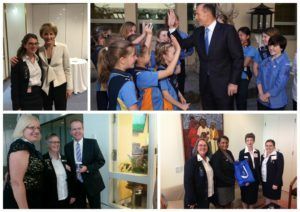 Girl Guides Australia has produced a national style guide which provides the requirements for all of Guiding to adhere to in marketing our great movement. Your State Office will be able to provide you with support to develop and source resources for promoting Girl Guides in your area. Empowerment—Building capacity and capability of girls and women – giving girls choices and given then the tools to make a difference. Supporting girls and young women to achieve. Building self confidence in girls by providing leadership opportunities. Celebrating success of girls and young women – supporting girls to realise their potential, whatever that journey is. Opening the door to friendships and building memories that will last a lifetime. Daring—Giving girls and young women a sense of adventure – new pathways and experience to develop leadership skills for the future. Challenging girls to make a difference – challenging for taking new opportunities and developing new skills for their future. Challenging communities on the expectations of girls and young women and to see a better future for girls and young women. Fun—providing a girls only space to grow and have the time of their lives with friends, for their life ahead. Learn—Learning through doing, learning through play, learning with each other, learning by sharing, learning by leading. Mentoring girls and giving them the skills to tackle life head on and express who they truly are – encouraging and challenging each and every girl individually. Active—when taking action we are informed, collaborative and engaged with our community and the world around us! Community—loyalty, togetherness and being connected – Guides are members of a network at home and across the world. It is a network of knowledge and skills, Guides are part of a bigger family and a global friendship, a worldwide community, We are contributors to our community. Change and Making the World a Better Place. Girl Guides provides a girl-only space. Guiding gives girls the opportunity to have fun in a safe, non-threatening environment that ensures they grow in confidence. Current research clearly suggests that girls learn and process information differently from boys. In an all-girl environment where they are the central focus, their confidence levels rise, interests expand and a special camaraderie develops. Girl Guides gives girls and young women a voice. Girl Guides Australia conducts nationwide surveys to find out what issues girls are most concerned about. Our girls and young women are also connected with global issues through advocacy projects and attendance at global forums, such as the United Nations Climate Change and Commission on Status for Women Forums. The programs led at World Centres highlight the issues facing girls and young women. Girl Guides promotes equality and diversity. Guiding is open to all girls over five years and young women from all beliefs, cultural backgrounds and levels of ability. Girl Guides is relevant to today’s girl. The Australian Guide Program (AGP) is driven and led by girls. The program allows Guides to choose what they want to do, implement the activities and evaluate them. The AGP encompasses all aspects of today’s life and prepares girls and young women as citizens of the future. Girl Guides ensures that girls and young women can be their best. Every activity in Guides contributes, whether this is obvious or not, to providing an environment where girls and young women can develop skills that will equip them for life and enable them to be their best. At its core, Guiding is about self-confidence, leadership and teamwork. We empower girls to speak out and take action on issues they care about – locally, nationally and globally. Our committed, trained volunteers make Guiding happen. Like the Guides they lead, our volunteers make new friends, have fun and gain leadership skills on the way. If you have used this speech to get the attention of people, you can then expand by talking about how your District or Region has practically made this happen. One of the difficulties in talking about Guiding is that it’s a very personal experience and the Program can vary enormously. On the other hand, stories of individual transformation can be powerful influencers but don’t identify the girl or Leader concerned as this may breach privacy law. Practising elevator speeches is a possible agenda item for District meetings or training sessions. Older Guides can also be encouraged to articulate clearly what Guiding is all about. The key messages of Guiding are encompassed in a range of materials that GGA and the State organisations produce to promote the movement. For marketing and promotional material contact your State Girl Guide Organisation. 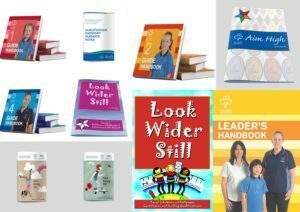 Girl Guides Australia has produced a national style guide that defines the look and requirements of the GGA and State Brands. This is policy of GGA and the States and all materials that are developed to promote Australian Guiding need to comply with these requirements. An awareness of what services are provided by government and council departments is useful to your Guiding role. Local government has the most direct impact on Guiding through our use of council land and facilities, and approval of building modifications. Councils also have youth programs and policies and broader community service objectives. They may award community grants for special projects. Most councils have a community services directory or a list of local organisations that is available to the public. Make sure your local Guide contact details are up-to-date and that Guides is listed in the categories you think would be useful if you were a local person trying to find our organisation. Developing good relationships with key people in your area can raise the profile of Guiding, over time increase membership, ease discussions over property use and enhance the success of grant applications. Your council may have a Youth Officer, or a Community Services Manager, or person with a similar title who can link you to other people and services working with community groups. Council staff may be willing to promote Guiding as part of specific services, e.g. support for recently arrived immigrant families. If possible, attend meetings of any local youth service forums or encourage your Leaders or Support Group members to do this on a rotating basis. Many youth services are unaware of the ongoing existence of Guiding or of our current program options. Council youth services will usually want to meet during business hours, so remind them that Guides is a volunteer organisation to persuade them to be more flexible in meeting times. Encourage Leaders and volunteers to be nominated for local council Australia Day awards. Units/Districts and/or Regions can also make it a priority to support local Council events such as Australia Day and ANZAC Day ceremonies and participate in annual events such as Youth Week, Relay for Life or Mother’s Day Classic. In this way Guides can become known as a reliable group to approach when something needs to be done and at the same time raise our profile. In addition to building relationships with council staff, develop contacts with councillors. If there are difficulties with staff, you can appeal directly to the councillors. Remember the State Executive Officer is often in a good position to resolve council issues if the District Manager is unable to make progress. An excellent way to foster relationships is to invite people to Guide activities. Councillors or politicians may appreciate being invited to Guide events, not just Annual General Meetings. If a politician attends, provide an opportunity to speak and meet with girls, parents and Leaders. If appropriate, a politician may be asked to present awards and badges to the girls or Leaders. Always ensure a photo is taken of the politician with youth members at the event as this can be the basis of a media story. Send a thank you for attending. Requests to invite the Governor General, State Governor, GGA Chief Commissioner or other GGA Office Bearers must be made via the State Executive Officer. Although Guiding is a non-political organisation and members are not to engage in political activities, this does not mean we can’t build relationships with councillors and state and federal members. Having accurate information on the number of youth and adult members in your Region or District as well as the other supporters and parents who support you can help politicians and media grasp the size of the “constituency” which Guiding represents. An understanding of these statistics is also essential for grant applications. Politicians will also be interested to know how many of the people you influence are in some category of need, for example, disabled, socially disadvantaged or recent immigrants. Always let your State Girl Guide Organisation know if you are planning to meet with your local representative or if you have as it lets your colleagues know the good engagement work that you are doing and contributes to the broader promotion of Guiding. It may also provide you with an opportunity to get further information to assist you and other support! If you are a newly appointed District or Region Manager notify the key people in your area. Let them know how to contact you and remind them that Guides still exist. lnvite these people to the District Annual General Meeting or other special District or Region activities. In addition to networking with other youth organisations, engage with other service groups such as Rotary, Soroptimists, Zonta and Lions. Your local council directory may help you identify other groups and people whom you could contact to provide information about Guiding in your area. Developing a strong relationship with the community may enable Guides to make a real difference through service projects. Most Councils and community organisations have a calendar of local activities and festivals. Participating in these events can build a sense of community and enhance the reputation of Guiding locally. You can approach schools to find out the dates and contact details for the organisers of local fairs and fetes. As a Manager you are well placed to find out about upcoming events and to share opportunities with Leaders. You have an important role to play in promoting a positive image of Guiding to the local community. This may entail actively seeking publicity or making the most of planned activities. For example, biscuit sales could be the focus of promotional activities at your local shopping centre, fete or some other public place, with all members of the District participating. Many local areas have free community service notice boards. These may be in the post office, local shops, libraries or free-standing in the street. These are a good place to display flyers seeking new Leaders, youth members and promoting fund raising activities. District Managers must build strong relationships with parents, guardians and carers. Parents will be the main advocates for what you do and so help build a strong profile for Guiding in the community. They are also a source of Leaders and their involvement as volunteers enables your Leaders to concentrate on providing great Guiding. Parents need to know that the District Manager is the ‘go to’ person if families have any issues with Guiding, however District Managers shouldn’t be the point of contact for simple day to day matters. Parents may not automatically know the contact details of the District Manager. It’s good practice to have a standard information sheet on Guiding and the District for new families. This sheet can give meeting times, contact details, fees and basics of the AGP. It can also encourage parents to come to the District Manager if they have any problems. Otherwise Unit Leaders end up as the main point of contact and if there’s an issue with the Unit Leader parents may not realise that the District Manager can help. Each State has a policy setting out who can make contact with each level of media, for example, Districts can generally directly approach local media, but not State media. Some State Offices have the resources to review media releases and some States have PR people in each Region. It’s likely that different local media / journalists will vary in their enthusiasm for including stories on Guiding. However, we can make it easy for them, by making sure the stories are unusual or have a human interest angle, e.g. how Guiding helps immigrant families to settle, or three generations of the one family in Guiding or a particularly unusual or worthwhile service event. Part of building the picture of the contribution Guiding makes is highlighting the charity and service projects which are undertaken in your District or Region. You might want to keep a simple record of these including dates, key contacts and number of Guides involved. This record can be helpful if a media organisation asks for background information. 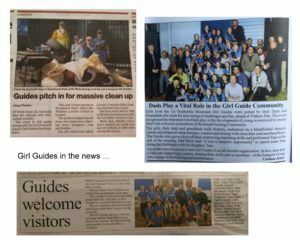 It’s often easier to get the local paper to pick up a story on Guides doing a service activity or going on a State camp, than a generic Guiding story or call for members/volunteers. Media will often want to take photos of Guides or volunteers at short notice or during business hours – but you are entitled to negotiate. The local paper will often have a photographer working Saturday morning to cover the local sport, so ask if you can do the photos then. As well as engaging with print media, make contact with local radio stations. They will want people who can talk about issues as well as providing information. For example, a Leader could talk about what Guides are doing to keep the environment clean. Media releases sent out nationally may be picked up by local media who will then contact Managers for a ‘local feel’ on a topic, e.g. Thinking Day is promoted nationally and so local medias are then likely to run stories about related local events.